Art Asylum has revealed the line-up for some new Marvel themed Minimates. they were slowly releasing coed messages to tease which figures were going to be released. Now they have revealed which figures will be in series 29 and 30. There are currently no images available. 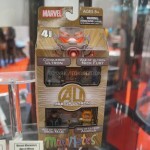 you can be sure that we will have continuing coverage of the Marvel Minimates as info becomes available. NYCC 2009 kicks off today and ToyArk.com has the scoop on some of the Marvel items that are currently on display. These are just a few of the new figures on display for Marvel Universe…..
Toys “R” Us Exclusive 2 Pack Sabertooth Vs. Logan on Motorcycle. Much more to come stay tuned for images starting NOW! Click the Title Bar to check out the images & stay tuned for even more! Also shown in these images are 2 exclusive 3-packs. One is a Spiderman & His Amazing Friends set, exclusive to Toys ‘R’ Us stores, consisting of cartoon accurate Spiderman, Iceman, & Firestar! MSRP is currently unknown. Another exclusive set consists of Yellow Daredevil, Hydra agent, & White Hand Ninja. Price and the store to sell this particular set are still unknown. A promo ad was also shown for “gigantic battles” set for release in fall.Gigantic battles consist of one 3-3/4″ scale figure, w/one big, build-a-figure sized, to scale figure of traditionally large villains & heroes. 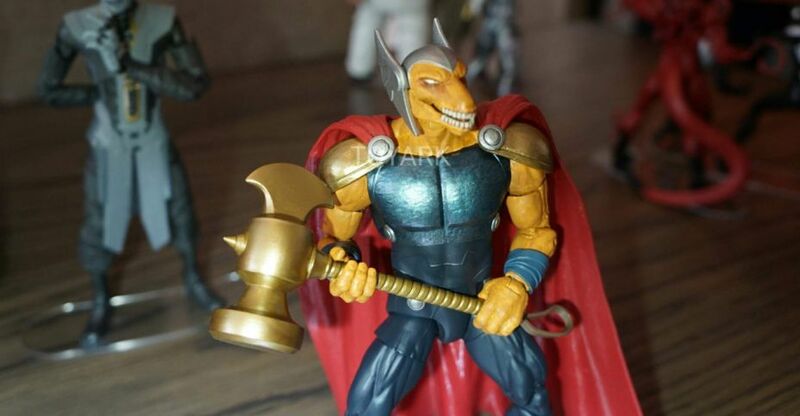 When asked about a Sentinel in a “gigantic battle” set, Hasbro replied, “no comment“. 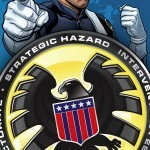 Also a promo poster was shown for the new pick 5 promotion at Hasbro’s Marvel site! Choose 5 characters to receive new figures in the Universe line!